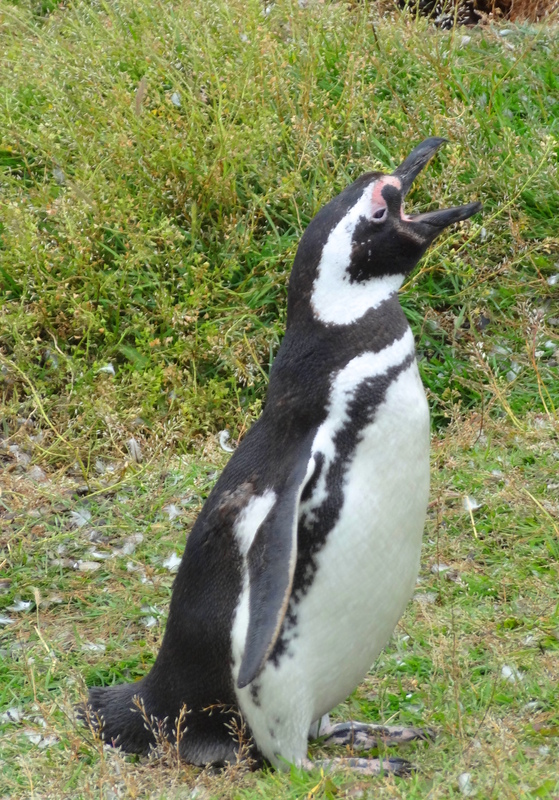 Did you know penguins like to yell? I didn’t. It makes quite a startling racket, especially when done in harmony! They seem to do it for no good reason except maybe they like the sound!!! Just like my husband likes the sound of Wagnerian Opera. Come to think of it, they do sound kinda like Brunhilde with a sore throat! 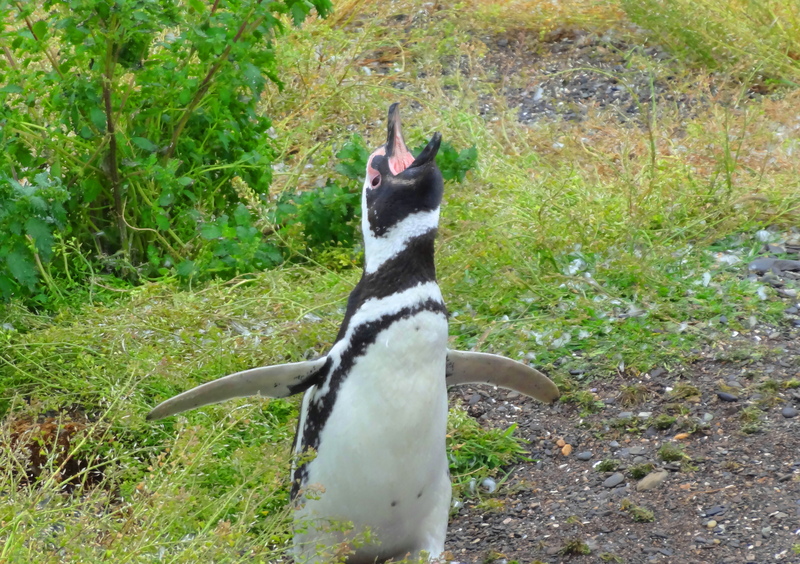 ← Penguin Time For Me & You! I can hear them singing! 😀 ))) Fae. Good! They even drown out poor Brunhilde!! Oh my goodness, how funny is this!!! 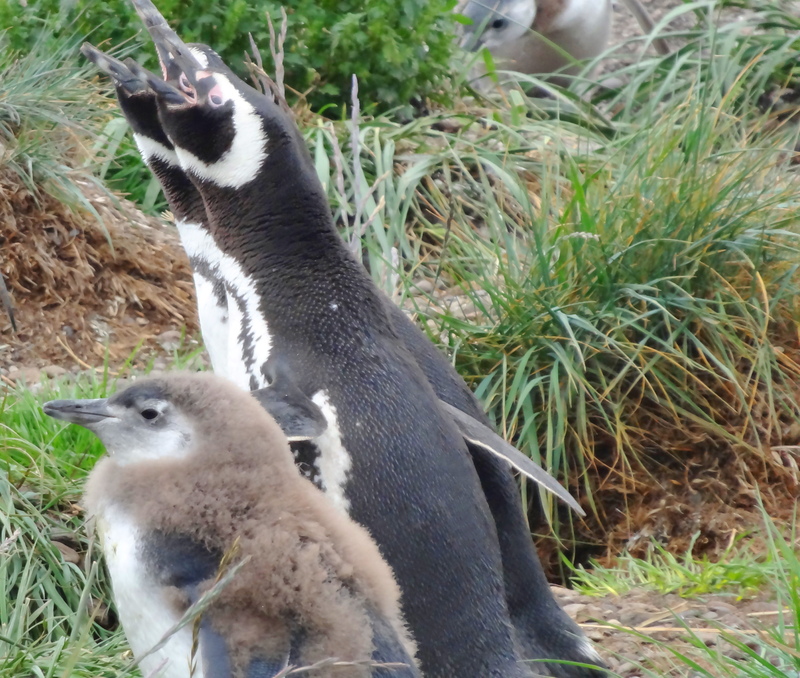 Love these little guys – great shots cindy! My camera has a sound recorder, but I figured that would be too much of a shock for people opening the post!!!! Neither did I!!! Lots of parrot species like to holler also. I see you are back. Nice photos. Why are you pickin’ on Brunhilde? She didn’ do nothin’ to you. Oh yes she did! I have sat through all 18 hours of The Ring Cycle and, like the fool I am, have agreed to do it again in Bayreuth next year. God help me! I am still in Tierra del Fuego. Starty flying home tomorrow. 3 planes. Total torture. I read your short story and LOVED IT! Look forward to reading more of your work when I return! Have a great trip home (God have forgiveness on your soul!) What short story did you read? Hello, I want you to know I have nominated your blog for The Versatile Bloggers Award. Should you choose to accept, I would be happy, and you can find guidelines on my post Woohoo!! The Versatle Blogger Award! http://correnadotme.wordpress.com/2013/01/31/woohoo-the-versatle-blogger-award/ . I can never stay away from your blog, You have the most beautiful pictures and I love that you tell about them, the history and knowledge you tell is marvelous. I just wanted you to know that I read them all, and am cheered up every time I read another post!!!! Love your blog! Correna, your heart of gold just shines through in all your communications. I will be home soon and will be able to catch up on all the posts I have missed. Thank you for the honor & the appreciation! If I made you happy, that makes me happy! did you have a very long lense, or did they let you go up to them so close to take close-up penguin portraits? No long lens! They walked up to me. I always knelt down and I have photos of them approaching me with their head and neck down in imitation. Sometimes they would walk up to me and fall asleep! Incredible. 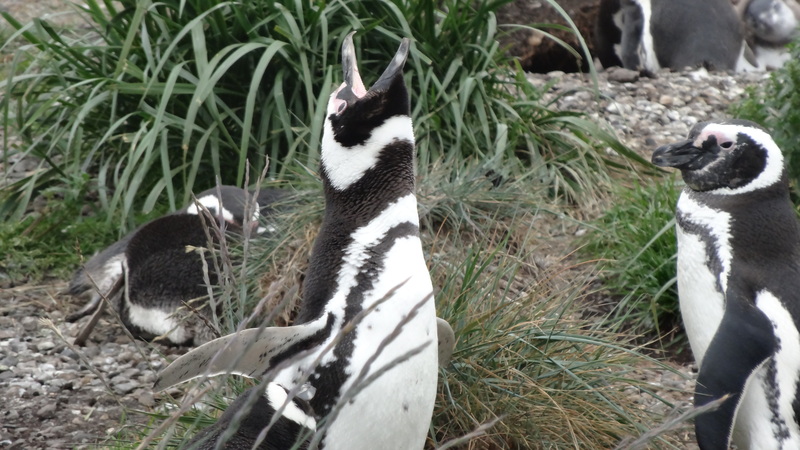 I know I’m kinda boring, but come on penguins…..feign a little excitement please!!! LOL! Just call me Martha Stewart II!! LOL! Ring Cycle!!! Looked more like La Boehme to me. But what do I know about opera. Great pics, Cuz. Have a safe trip home. Yeah! It is a little lacking in pomp and circumstance!! La Boheme it is! Lol, Brunehilde with a sore throat! You must take penguin photo albums with you to Bayreuth to help you survive the Ring Cycle. God YES! I could listen to the penguin opera with ear phones and pretend I am enjoying Das Rheingold. What great photos of the yelling! Merci ma deah! Much appreciated. Your last cupcakes looked incredible & I’ve got my daughter’s wedding shower coming up! Your posts will make the party! They are so cute it doesn’t matter how they sound! You are right & they actually sounded quite cute too! So cool that you got pictures of them singing and yelling! Cute as can be! They are wonderful fun to visit!